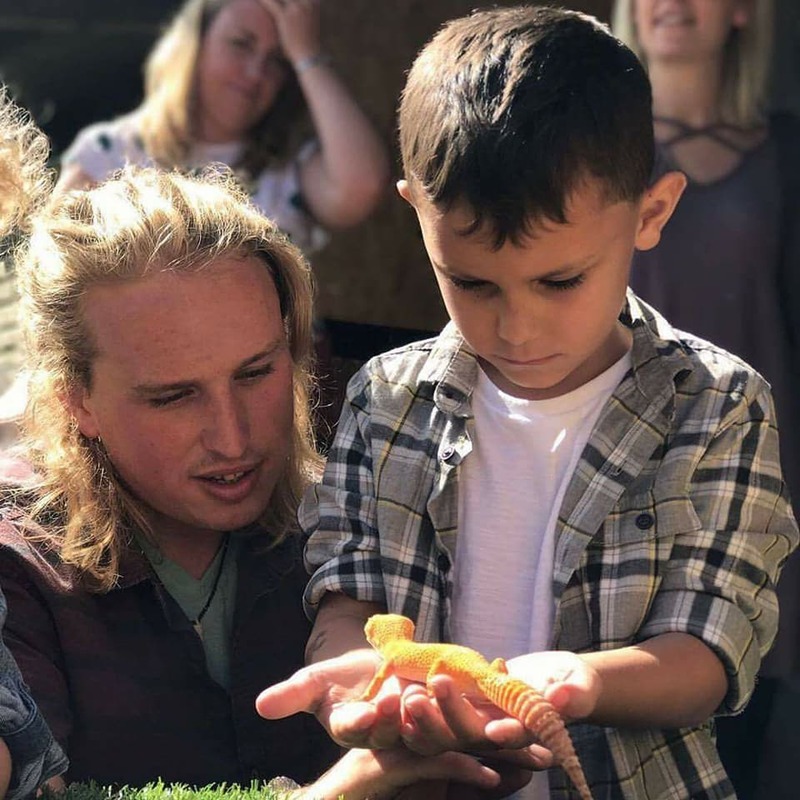 Deano has always had such an interest and a passion for animals and for reptiles in particular! In 2013, Deano fell in love and rescued a little corn snake, who we later named Rumplesnakeskin. Rumple was having an awful time and Deano was heartbroken when he heard that Rumples previous owner had been putting out cigarettes on him. When he first came to the Shack he was badly burnt and had a tough time trusting people. Deano took Rumple in and worked closely with him every day. After 2 years and a lot of hard work, he eventually returned to full health. He is now the most loving and affectionate Snake and still has (and always will) a forever home in the Snake Shack. Deano’s knowledge and experience does not stop with the Snake Shack! He has had so many wild adventures, to gain knowledge and be educated on a range of different creatures! He has been shark diving with great white sharks, swimming with wild dolphins in New Zealand and has spent time with alligators in the Everglades! After these experiences, he truly believes that wild animals (including all the residents of the Snake Shack) should be in their natural habitat and not kept as a ‘pet’.